Hey guys! Today's post is with this beautiful pleated skirt, I bought it a few years ago (sorry, I don't remember where..) and it's so fresh and flowy, perfect for work in this very very hot Summer days. Since the whole outfit is neutral I put on this red flats to make contrast; I have to addmit that red and beige are one of my favourite combinations. Olá! O look de hoje é com esta saia com pregas, que comprei há alguns anos (desculpem mas já não me lembro onde..) é tão fresquinha e fluida, perfeita para estes dias de trabalho no Verão em que está muito muito calor. Para fazer um bocadinho de contraste pus estas sabrinas vermelhas; tenho que admitir que vermelho e beige é uma das minhas combinações preferidas. 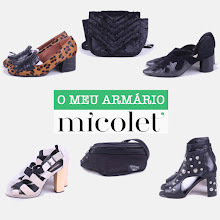 tão bonita :) gosto imenso dos sapatos e da saia ! Love the skirt & flats combination! The skirt and the shoes i love them! Perfect I adore this look!! You look great!! Your skirt is so lovely!! Perfection! I absolutely love those flats and I have to say this whole outfit is just so lovely and chic! This is such a cute outfit, you're gorgeous! like this look very much!